Can AmEx's Plenti Break The Coalition Curse? American Express is rolling out Plenti, a new coalition loyalty plan, linking such diverse retail brands as Macy’s, Rite Aid and Hulu. And while such programs have failed before in the U.S. — despite considerable success in other parts of the world — observers think this effort may be just what American consumers need to get on board. “Coalition programs have been very popular in places like Canada and the U.K.,” says Christopher Barnard, CEO of Points, a global provider of loyalty currency management. “But the real challenge here has been that there are very few companies that cover the entire U.S. And that makes it hard to build a truly national coalition.” He says at least half a dozen previous attempts at such plans have failed. 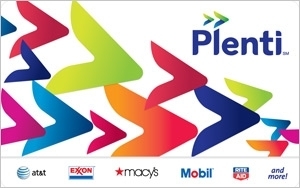 Plenti, which consumers can join for free, allows people to earn loyalty points when they spend money with AT&T, ExxonMobil, Macy's, Nationwide, Rite Aid, Direct Energy and Hulu, regardless of what method of payment they use. And in addition to earning points (with at least $10 in savings for every 1,000 points), these shoppers can also get product discounts and special offers. The idea of a single plan that works in many places appeals to consumers: American Express says its research has shown that 72% of shoppers would prefer such a rewards program. Plenti is based on Payback, a coalition program American Express already operates in such countries as Germany, Italy and India. A spokesperson for Macy’s tells Marketing Daily one reason it is so bullish is reach, “with 71% of the U.S. population living within five miles of at least two of the current Plenti partners.” And he says the push to introduce Plenti “will be extensive. Macy's, along with American Express and the coalition partners, will promote this in a variety of media, including broadcast, print and digital. There will also be plenty of Plenti mentions in traditional promotional ads, and the program will be marketed via in-store signage, at point of sale and via its sales associates.